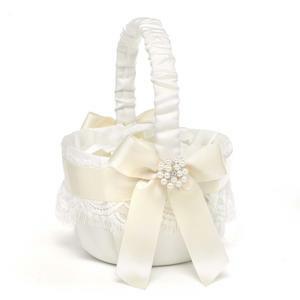 25142 - Ivory satin round basket features an ivory satin ribbon and bows cinched with rhinestone and pearl embellishments, all layered over a vintage-style lace. 8" tall. Petals not included.